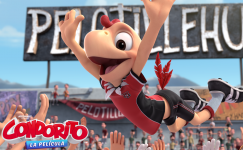 The famous comic strip character and his pals are animated in CGI for the first time, including the love of his life Yayita (Jessica Cediel), his romantic rival Pepe Cortisona (Cristian de la Fuente), as well as his nephew Chicky. 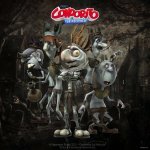 Condorito (Omar Cha... show all parro) is ready to propose to Yayita and tie the feather- er, knot, but when his disapproving mother in law Tremebunda (Coco Legrand) is abducted by an alien king, Condorito and his nephew must embark an out of this world adventure to save “La Suegra”- as well as planet Earth! 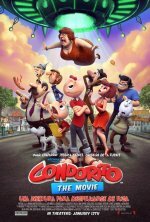 Condorito: La Película, is the perfect way for fans who have grown up to share the laughter with a new generation, one plop at a time!